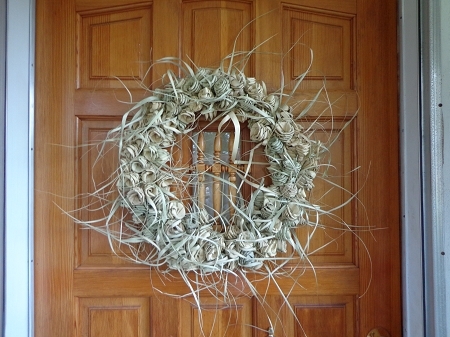 This Palmetto Wreath measures 18’’ diameter outside. Each Wreath has a unique touch to them and no two are alike as each are hand made---size, shape, shade would vary. The Wreath signify strength, luck, everlasting love. 200 Bulk Green Palmetto Roses @ $1.75 ea. 300 Bulk Green Palmetto Roses @ $1.75 ea.